The Kids at Heart lunch has been raising money for Sacred Heart Children's Hospital for 12 years, ensuring that Spokane children don't have to travel long distances to receive world-class care. 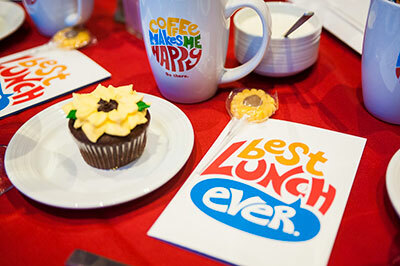 This year's Kids at Heart luncheon is tomorrow, February 27, 11:30am at the Spokane Convention Center. Funds from Kids at Heart have been used to purchase high-tech isolettes for at-risk babies in their Neonatal Intensive Care Unit, buy a specialized anesthesia machine for their tiniest cardiac patients, support the pain-free and palliative care programs, and has helped build an entire 24/7 Emergency & Trauma Center just for kids. Last year, luncheon guests raised money to establish a new pediatric mental health program, ensuring that children in crisis receive immediate, life-saving help, even if a hospital bed is not available. Funds raised at this year's lunch will support Emergency and Trauma Services. Sacred Heart Children's Hospital is the region's only Pediatric Level II Trauma Center, which means that critically injured children can be treated here at home rather than flown out of town. For tickets and more information, visit www.kidsatheartcharitylunch.org. Excelsior Youth Center has promoted Kitara Johnson to chief development officer. She was previously the organization's vice president of education services. Johnson has been with Excelsior since May 2016. Danielle Cannon, previously manager of community education at Coordinated Care home health service, has been hired as director of strategic initiatives and partnerships. Lynn Suksdorf has joined as environmental development coordinator, and was previously an adjunct instructor at Whitworth University. For more information, visit the website at www.excelsioryouthcenter.com. Inlander Restaurant Week continues through through this Saturday, March 3, throughout Spokane and North Idaho. 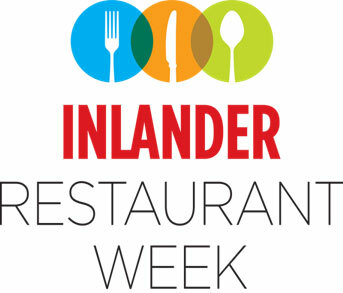 All 107 of the participating restaurants' menus are online at InlanderRestaurantWeek.com and in the current Inlander newspaper, so make your reservations and enjoy the Inland Northwest's culinary delights. Local community organizations, businesses, and universities join together to offer a free, public celebration of International Women's Day (IWD) on Saturday, March 10 from 1-5pm at the Spokane Woman's Club, 1428 W 9th Ave. The purpose of this event is to foster community, share resources and knowledge, and inspire action toward gender parity. This free, kid friendly event is open to the public. Attendees will be encouraged to #PressForProgress with gender parity through a day of inspirational workshops, a resource fair, and a powerful keynote speech titled Hearing the Untold Stories by Sandy Williams, an accomplished local activist and creator of The Black Lens News. For more information, visit www.facebook.com/IWDSpokane. Sarah McClure has joined ALSC as an Administrative Assistant. 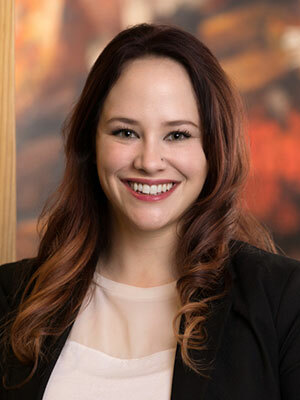 Sarah is a friendly first contact for guests at ALSC, and will also be providing office and administrative support for our architectural and interior design staff. This year's Annual Meeting of the Downtown Spokane Partnership (DSP) is this Thursday, March 1, 4pm at the Davenport Grand Hotel. This year's meeting will celebrate downtown's modern renaissance, explore 2018 initiatives and featured keynote speaker is Roger Brooks, CSP. Over the past 35 years, Roger Brooks and his team have assisted more than 1,500 communities and travel industry organizations around the world with their branding, product development, and marketing efforts. In the private sector, Roger has worked with businesses including attractions, destination resorts, lodging facilities, retailers, tour operators, and guide services. In addition, at the keynote celebration the DSP will be celebrating award winners for 2018, including this year's Legacy Award to be given to Kevin Twohig, and the 2018 Impact Award, to Luke Baumgarten and Ginger Ewing, Founders of Terrain. The DSP is a private, non-profit membership organization that serves as Spokane's central city advocate and service provider, dedicated to enhancing the quality and vitality of Downtown Spokane as the basis for a healthy region. Tickets are and more information available at www.downtownspokane.org.